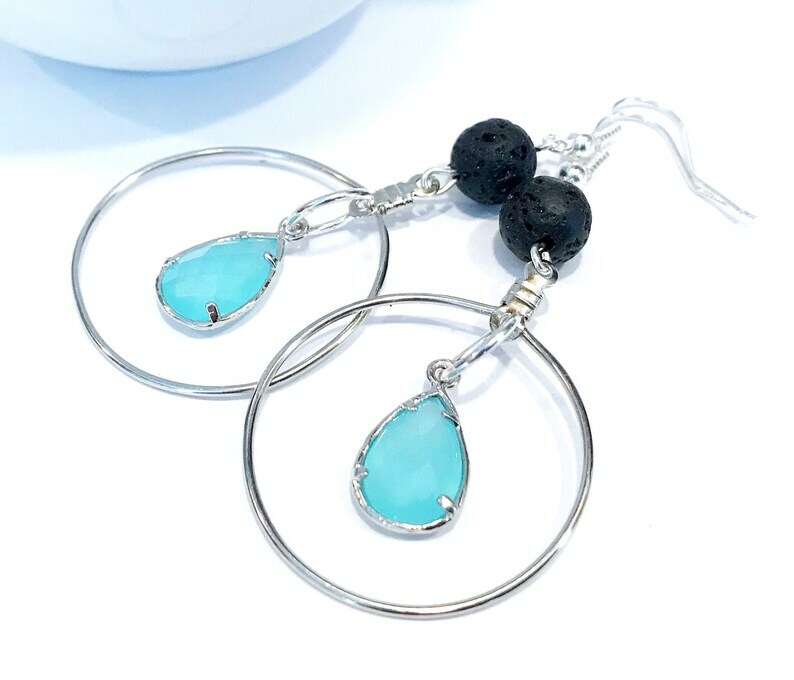 Lava rock statement earrings are silver plated dangle earrings made with lava beads and milky blue glass crystal drops. This diffuser style jewelry utilizing authentic porous lava rock beads will emit any essential oil when you place a drop or two onto the bead. Great aromatherapy jewelry that is stylish too. 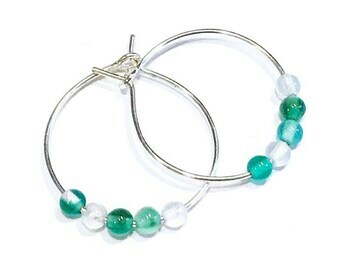 The drop length of these earrings is 65mm or 2.55in. Earwires are traditional silver plated french hook. 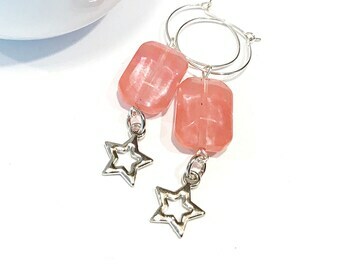 Comes packaged on a heart shaped earring card inside a box perfect for gift giving. Gift wrap available at checkout for an additional fee. Ships in 1-2 business days normally via first class mail unless otherwise specified on the main site.